Here I am, yet again with a review of a book written by Saiswaroopa Iyer, and like her other books, this book is written to inspire. 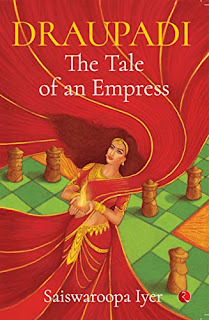 Picking another woman who remained strong through the roughest of times, she presents to us her latest book, ‘Draupadi: The Tale of an Empress’, and as the name suggests, it takes you through the life of Draupadi, the princess of Panchala. Almost everyone will know the story of Draupadi from the Mahabharata; the wife to all five of the Pandava brothers. There are many questions about Draupadi that have remained unanswered in the Mahabharata - like why she would ever consider entering into a polyandrous wedlock of her own will, or how her relationship with the Pandavas was after the game of dice. A book narrating a commonly heard story isn’t unique and wouldn’t draw much attention. So, what makes this book so special? For starters, it’s the author’s creativity and her ability to describe all the emotions Draupadi felt with extreme ease that you connect with her very well. Secondly, some of the accounts of events are different, and when I say different, I mean that they are almost the exact opposite of what I’ve heard. 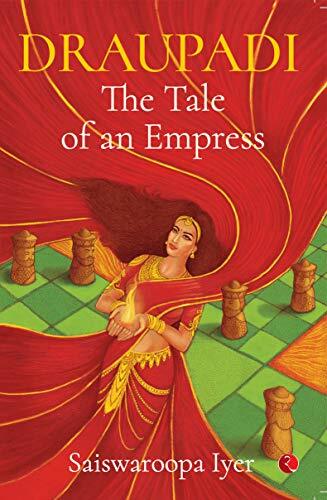 I would like the readers to remember that this is a fictional retelling of the story of Draupadi and therefore it has different accounts of some parts of the story. Amongst all the different versions, none are untrue and are just different interpretations of the story. However, these tweaked versions were actually fascinating and did explain some of the actions taken by Draupadi. One also wonders how the empress must have taken the near impossible decisions she did, and Saiswaroopa Iyer has managed to envision Draupadi perfectly, and hence, imagine what Krishnaa, mind you Krishnaa, not Krishna, was feeling to perfection. I quite liked the book and it was a pleasant read. If you want to try another one of Saiswaroopa Iyer’s books after this one, I would recommend ‘Avishi: Vishpala of Rig Veda Reimagined’. © 2019, Anvita Agarwal. All rights reserved.